Volunteers provide valuable one-on-one (1:1) time to NEADS service dogs in training while they are on campus, either with puppies in the Early Learning Center (ELC) or adolescent dogs in the Kennel. 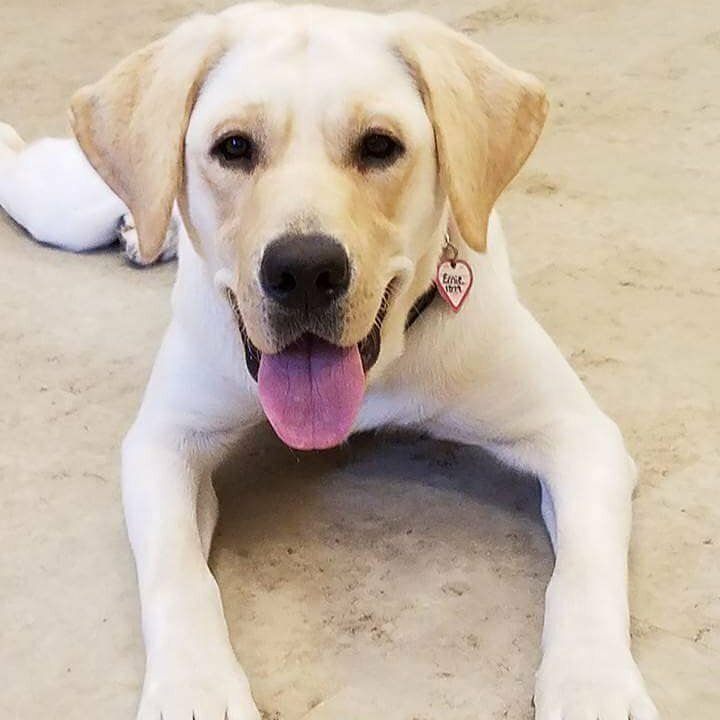 In the ELC, puppy candidates work on socializations and exposures, and in the Kennel, service dogs in training are usually on campus for an evaluation by their trainer. Volunteers give the NEADS dogs love and attention, take dogs for short walks around campus, and play with individual dogs. Volunteers also help with facility daily operations, which include doing laundry, cleaning, various kitchen duties, and assisting with occasional projects. Q: What are the minimum requirements for volunteering in the ELC or Kennel? Additionally, ideal volunteer applicants live within a 45 minute one-way commute of NEADS. Previous experience indicates that volunteers living outside this radius are unable to sustain the commute long term (due to expense, traffic patterns, or long periods of adverse weather), and thus become unable to complete their 6 month commitment to NEADS. Q: Why do I have to be 16 or older in order to volunteer? Q: What does 1:1 time with NEADS dogs entail? A: 1:1 time always includes a quick walk to toilet the dog, but also encompasses playing with or walking a dog, and giving the dog love and attention. Or, instead of playing, some dogs may prefer to sniff all over the play room, to have their coat gently combed, or to have a volunteer sit on the floor with them and pet them. This all counts as valuable 1:1 time. Most NEADS dogs on campus are still in training and not yet mature, and so will not have perfect gentle service dog behavior just yet. Many will exhibit typical puppy or adolescent behavior. Socialize dogs. For those interested in socializing NEADS dogs, please consider becoming a Puppy Raiser. Train dogs on obedience or task work. This is done exclusively by inmates at partnered prisons, under the direction and supervision of NEADS Trainers. Bathe or medicate NEADS dogs. Take NEADS dogs running. Many NEADS clients have physical disabilities, so NEADS dogs are not trained or conditioned to be running companions. Q: Do I get to choose whether I volunteer in the ELC or the Kennel? No, volunteers are assigned to the ELC or Kennel based on the volunteer’s hours of availability and what gaps on the volunteer schedule need to be filled. However, volunteers can be cross-trained as need and opportunity arises. Q: Do I need to have dog experience in order to volunteer in the ELC or Kennel? No dog experience is required. Supervisors will train volunteers on NEADS handling policies and procedures, and build the volunteer’s confidence when interacting with dogs. Q: How old are the dogs that I’ll be working with? And which dog breeds does NEADS work with? Puppies in the ELC typically range in age from 8-12 weeks, and dogs in the Kennel typically range in age from 7-18 months. NEADS primarily works with Labrador retrievers. Less frequently, there may also be golden retrievers, poodle mixes, or shelter dog mixes in the program. Q: Is there a dress code for volunteering? A: Yes. Shoes must be closed-toe and fully encase the foot. Clothing must be conservative/modest and appropriate for working in a kennel environment. Q: I want to work at NEADS; will volunteering help me get a foot in the door? A: NEADS will interview all strong applicants for open positions, but being a NEADS volunteer does not guarantee an interview, preference in the hiring process, or a job offer. Q: What is the process to become a volunteer for the ELC or Kennel? 1. Complete the online application for ELC and Kennel volunteers. Applicants should rank their Kennel volunteer interest as 1 instead of 2 or 3, as this affects how applications are grouped. Ranking Kennel interest as 1 also indicates the applicant’s interest in volunteering at the ELC. Orientations are by invitation only. Regretfully, staff must decline applications if there are not any volunteer openings during the applicant’s listed hours of availability, and/or if the applicant’s listed hours do not permit them to volunteer for a minimum 2 hour shift during Kennel hours of operation (8am-12 and 1-5pm). If an applicant is declined, they are encouraged to apply again should their schedule change or become more open. 3. The ELC and Kennel Supervisors will communicate with orientation-attendees to determine shift time, location (ELC or Kennel), and start date. Training will begin during the first shift. Q: How long is the process between submitting an application and actually volunteering? A: Sometimes as long as 7-8 weeks, though staff are working hard to shorten this period!